The fact is that we fallible humans make mistakes and poor choices, hurting not only ourselves but other people as well. If we do not figure out how to clear away the inevitable debris and toxic air that build up in our relationships they will eventually crush and poison us. This statement implies some effort in offering true forgiveness in marriage that goes beyond words and even outward actions, indicating a healing of hearts and souls. This leads to an astonishing result: As we forgive others, the natural byproduct will be growing compassion, generosity, and love! This means that even though we as married couples should never intentionally inflict pain on one another, when we do slip up, opportunities are created to refine ourselves and our marriage as we communicate, explore perspectives and forgive. At LIFE Marriage Retreats we often work with couples who are filled with resentments and mistrust. As they embrace and practice the principles and skills they are learning, they are able to speak about past hurts and disappointments in safe, healthy, and accountable ways. We worked recently with Jay and Emily, a couple with three children and busy work schedules. Over time they had allowed the busyness of their lives to get between them and spending quality time together; this led to loneliness and emotional disconnect between them, and eventually to feelings of hurt and blame for one another. It was marvelous to work with Jay and Emily as they resolved their issues. They could feel past resentments melting away as they found their way to frank and honest forgiveness. Margo had shared with them the analogy of a broken bone representing a damaged relationship. When a broken bone is cleaned out and set properly it heals and the old break actually becomes stronger than the surrounding bone. That is the case with Jay and Emily today, their relationship is stronger because they took the time to cleanse and heal it. They discovered this wonderful truth about forgiveness in marriage: those who forgive are less angry, more hopeful and happy, and less anxious and stressed. They found that forgiveness is a liberating gift they were able to give themselves and one another. One of my annual traditions for the Christmas Season is to read Charles Dickens’ “A Christmas Carol,” or to watch a filmed version of it (my personal favorite is the one starring George C. Scott). My Christmas spirit is always touched and enhanced by this great story of redemption. It is a tradition in some cultures around the world to at certain times forgive others of offenses, obligations, and even financial debts. These cultures see such charitable compassion as beneficial not only to the receiver, but also to the person granting the forgiveness and, by extension, the benefit is felt through the entire community. 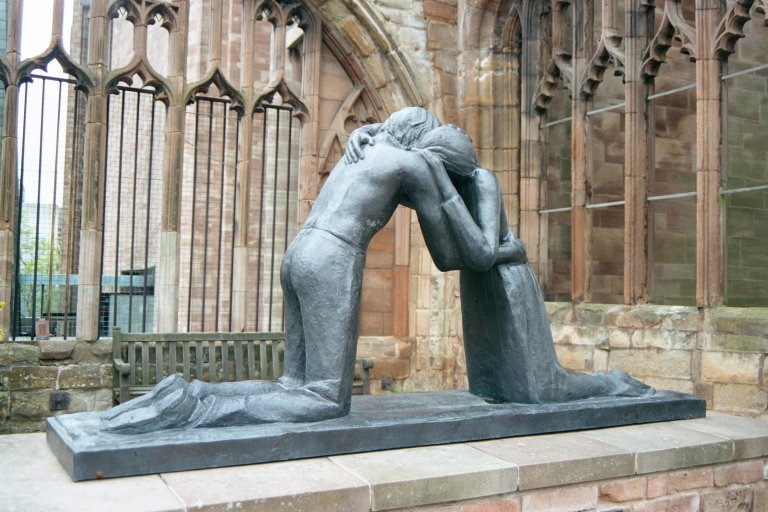 How would it be if we took stock of the grudges we carry, the emotional ‘promissory notes’ we hold over others, and rather than demanding our pound of flesh, instead granted forgiveness and compassion? How would it feel to us and our loved ones if we cleansed the toxic air and cleared away the inevitable debris that builds up in any relationship? Such compassion and mercy would be a gift beyond measure. Such compassion can begin with the understanding that it is difficult for all of us to change old patterns and ways of behaving, and to realize that we are in this life and relationship together and that support and acceptance will always lead to positive change more effectively than blame and condemnation. So give yourself and your partners on this journey the gift of compassion, mercy, and forgiveness and feel the marvelous results of such an offering! Have you ever wondered how the early and joyful days of marriage, times filled with hope and anticipation for the future, often turn into a death march toward some sad finish line filled with misery and regret? Numberless books and articles have been written about destructive marriage patterns and advice on how to break out of them. In our next two newsletters I will boil many of those harmful patterns down to two related things that, if turned around, can help change the entire dynamic of your relationship TODAY. First we must accept as a given that in any relationship between two fallible humans both partners are going to make mistakes and will hurt one another. Obviously we want to keep those mistakes to a minimum, but we will never fully eliminate them. In fact, in our experience, great relationships are not defined by the absence of mistakes, but by the willingness and ability to work through them, and especially the willingness and ability to seek and offer forgiveness. If a family cannot consistently deal with the inevitable mistakes and failures we all experience, the debris and toxic air will eventually grow to a point that the family is crushed and poisoned. 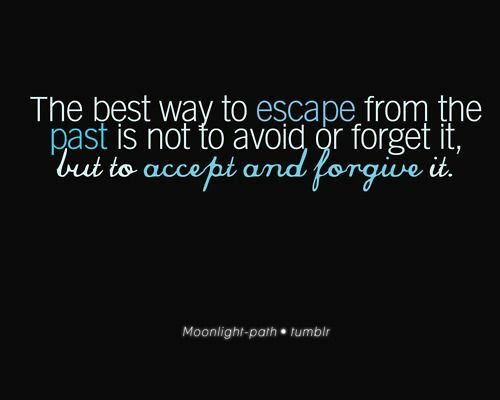 Thus the absolute requirement that we all learn to repent and forgive. Please note the absence of excuses and justification in that apology. While there sometimes might need to be some explanation in an apology, never allow that explanation to be an excuse. When we have made a promise to a loved one, only the most dire of circumstances should impede us from delivering on it. There might be times when you are just a part of the problem or mistake, with your partner sharing in the error. Once again, you can introduce peace and healing as you choose to be the first to take accountability. You might say something like, “Wow, I apologize for my part in putting us so far behind schedule. I really lost track of time.” Your partner might or might not elect to take their share of accountability and it will be counterproductive if you demand that they do. Most often as you take accountability it will help your partner to feel safe enough to take their own, but basing your willingness to seek forgiveness on your partner’s reciprocating will often lead the relationship into even shakier ground. It has been pointed out that ultimately we can only clean up our own side of the street, not our partner’s. But keeping our side clean will inspire our partner to maintain their’s as well. What is the key to an apology and seeking of forgiveness? Humility. Humility has many components, but in a relationship it means possessing an openness and willingness to recognize and admit when we are wrong or have made a mistake. It is the knowledge that we don’t have all the answers and are open to learning. And certainly this means that we will unilaterally seek forgiveness and do our best to correct our mistakes. When our couples become embroiled in attempts to justify their negative actions or shift their share of the accountability, we sometimes ask them, “Would you rather be right or happy?” They ruefully answer that happiness is their goal and once again find humility and soon discover the win/win that is always awaiting couples who conquer the mountain of pride. Sometimes when a couple is struggling and has built up significant resentment it can feel difficult to be the one to take the initiative and admit your own accountability and apologize. But I promise that the fruits of that effort will be among the sweetest you have ever tasted. Next time we will talk about how to forgive. One of the most important journeys any of us will take during our lifetime is that which leads to wisdom. One of the key components of wisdom is learning to recognize that all our choices have consequences, positive or negative. As we grow in wisdom, we are willing to learn from the results of our choices, making better and better decisions as we move along life’s path. As we strive to become more wise in our relationships there is a particular choice that we will be called upon to make time after time in our marriages. Sometime in the next few days almost every last one of us is going to feel offended, irritated, or hurt by something our partner says or does. It’s not always easy to think in rational terms when our blood pressure is rising over a perceived slight, but the truth is that conflict is the passageway to intimacy and health in our relationships. Without it there is no growth or refining. But to win the relationship rewards we must make the right decision in the face of adversity. That moment when you feel hurt or offended you will be faced with a decision: Should you Retaliate; or should you seek Resolution and Reconciliation? Your response to this choice will have an enormous bearing on your future happiness and the long-term success of your relationships. You might have hoodwinked yourself into believing that you really don’t have a choice; that offense must be answered with offense, aggression with aggression (even if it is passive aggressiveness). That is patently false—you do have the freedom to choose. You can choose the mindless destruction of retaliation and begin or continue the downward spiral of your most precious relationship. Or you can enter that special passageway that leads to trust and relationship harmony by seeking reconciliation and win/win resolution. It only takes one partner to make that first step. I don’t want to trivialize such a step or the effort required to take it. We humans seem to be hardwired to answer a hurt or offense in a like manner, and without a determined and conscious effort, retaliation, in some form will usually be our reaction. 2. Take the initiative and be the peacemaker. Don’t let pride stand in the way of resolution. 3. Sympathize with your partner’s feelings and seek to understand their perspective. You need not agree with their point of view, but it is important to understand and acknowledge it. 4. Without trying to justify yourself, take accountability for your part in the problem. The truth is that there are very few relationship issues that are unilateral; the roots of problems tend to be tangled together. Taking your share of accountability will help defuse the resentment of others. 5. “Attack” the problem, not the person. Be honest, but choose your words and tone of voice carefully. Nothing has ever been solved through harsh judgment or name calling. 6. Emphasize Reconciliation, not resolution. Never place the desire for a solution above the paramount goal of building and strengthening the relationship. Solutions will always be found in a healthy and loving relationship, but rarely in one marred by turf wars and a need to be right. You will discover that as the relationship is reconciled, many issues will lose their negative energy and will simply disappear or become more easily managed. So don’t hesitate to temporarily compromise on a particular problem, knowing that an even better solution will grow from the fertile soil of a loving relationship. http://lifemarriage.wpengine.com/wp-content/uploads/2015/09/life-logo-2015-300x300.png 0 0 Gerry Dye http://lifemarriage.wpengine.com/wp-content/uploads/2015/09/life-logo-2015-300x300.png Gerry Dye2010-06-13 14:35:072013-03-25 14:57:22Retaliation or Reconciliation? Charity-There is a particular truth that we teach at our Couples Retreats that always creates a significant stir in our couples: Research shows that at any given time in a reasonably happy marriage you will like or admire about 85% of everything about your partner. That means that generally speaking there will be around 15% that you might find irritating or frustrating about their actions, habits, practices, words, etc. Those percentages might be higher for some, lower for others; the important thing is that you will never live with a marriage partner who is perfect. There will always be something that, if you had a magic wand, you might wave it at your partner to change the way they squeeze the toothpaste tube or how they are always late for appointments. Upon reflection it is a good thing we don’t have that magic wand. Marriage is meant to be the great classroom, the finishing school in the development of our character–and character is developed most thoroughly as we grow in patience and forgiveness of those around us. Could we shape our spouse to fit our particular version of perfection we would grow flaccid, jaded, and even bored. Worst of all, we would never develop the key principle of Charity in our lives. Charity is utterly indispensable in a marriage. It allows us to let go of harsh feelings. When charity has been abandoned, when the principle of forgiveness is traded for retaliation, the light of hope in a relationship becomes ever dimmer. Without charity and accompanying forgiveness, the weight of real and imagined offenses grows ever greater, eventually crushing both partners and the relationship. It’s something like a house that is never cleaned. 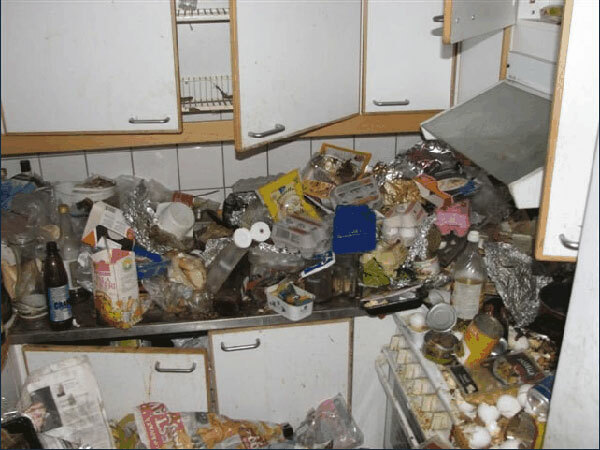 Eventually the dirty dishes, laundry, garbage, and junk overwhelm the home and whoever has the misfortune to live there. If we don’t have a way to remove the refuse that might build up in our marriages, represented by hurt, bitterness, and mistakes, the relationship will eventually cease to function. Charity will be the great challenge in most marriages, but it also brings with it the sweetest rewards of peace, growing love, and mutual respect. These are gifts beyond compare. The Three Baselines- A couple has the responsibility to work out many issues in their marriage. Finances, children, careers, in-laws, and a hundred other things will demand our problem solving skills. But we have seen many successful marriages in which partners did not quite see eye-to-eye on money or how to discipline their children. But we have never seen what we would define as a happy marriage that existed outside the boundaries of basic Civility, Fidelity, and Charity. If you find yourself in a relationship where one or more of these areas is showing signs of decay, don’t panic. The good news is that awareness is half the battle and experience has shown that committed couples can quickly make real progress in turning things around in these baselines, and as they do they always experience an enormous upturn in happiness and fulfillment in the relationship.